Another Malaysian Who Is Making Us Proud! She's The Next Michelle Yeoh Who Made Her Debut In Gotham! For those caught up with the television series Gotham, you might have noticed a new character introduce during the latest episode ‘A Dark Knight: One of my Three Soups’. 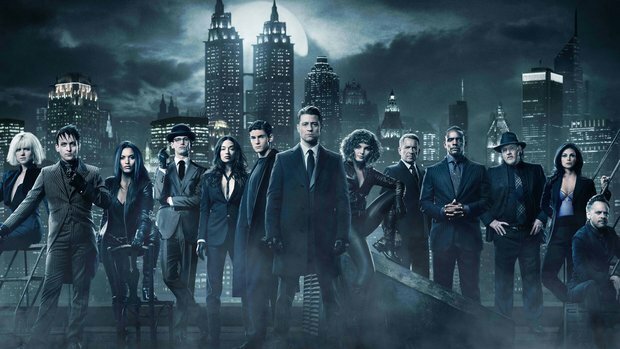 The television series has finally introduced the League of Shadows, a group of assassins prominent in the Batman mythos which the show is based on. Among the league is a character that might look familiar to Malaysian audiences. The character is Lelia, a sister of the League of Shadows, played by Kuala Lumpur-born actress Shiva Kalaiselvan. "I don't exactly know what I would call the feeling. It's more than happy or joyous. You dream of opportunities like this in this business, and you have an idea of what it is going to be like when you get it. But it's more than that. I couldn't have imagined this experience"
"I did get to meet most of the cast, either through working on scenes with them or while we were getting our hair or makeup done. Everyone was AMAZING! Incredibly friendly and welcoming"
Shiva Kalaiselvan has appeared in several local theatre plays, including 'After Juliet', 'Indicinelive IV' and 'Malaysian Girls'. She is now currently based in New York.